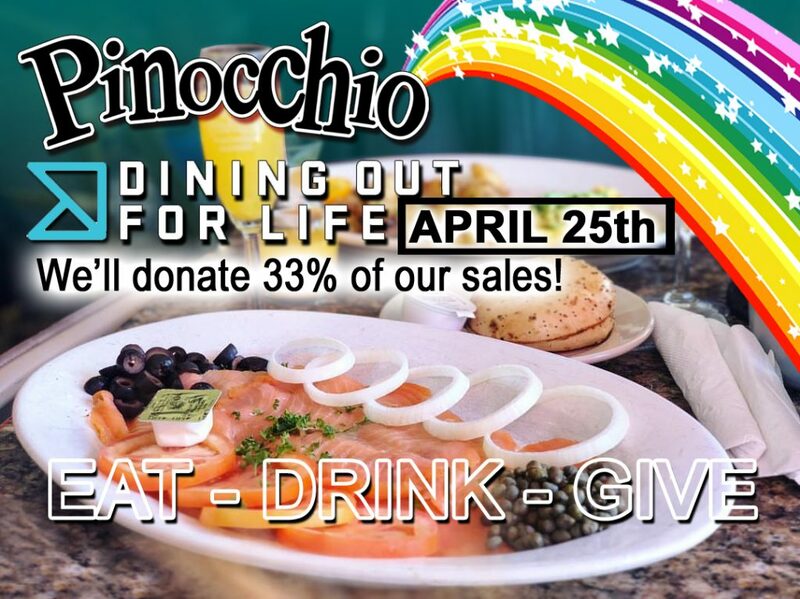 Come “EAT – DRINK – GIVE” on APRIL 25th and Pinocchio’s in the Desert will donate 33% of our sales! 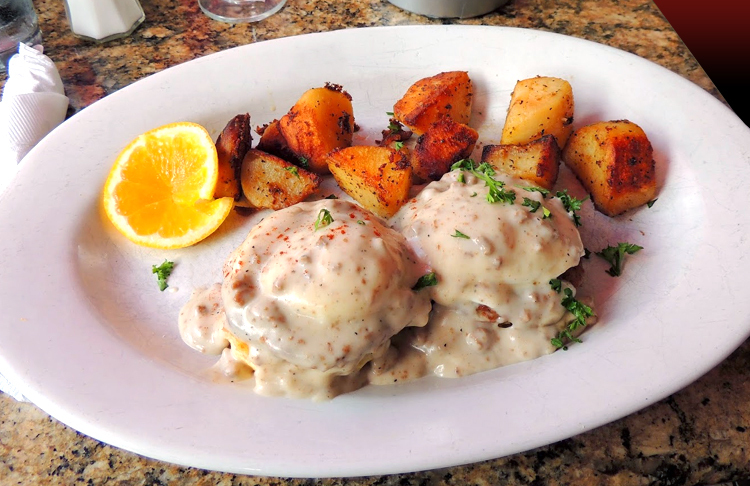 Come treat yourself and your loved ones with Bottom Champagne and a delicious breakfast or lunch and the BEST place in town for a fun time! 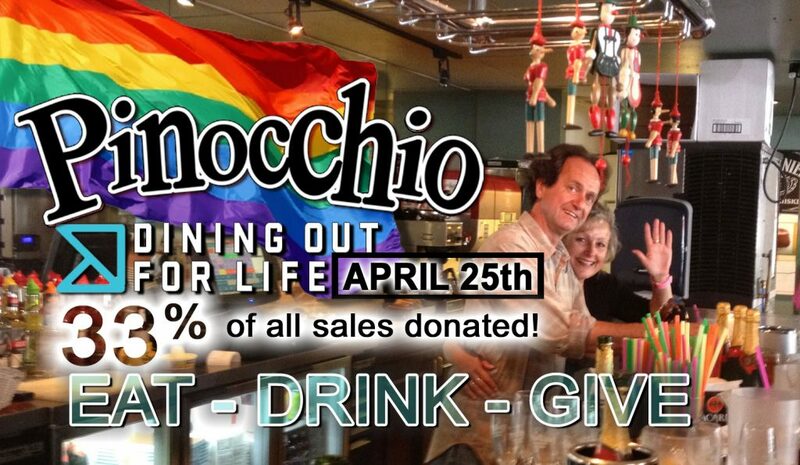 . . . . OUR COMMUNITY IN ACTION! 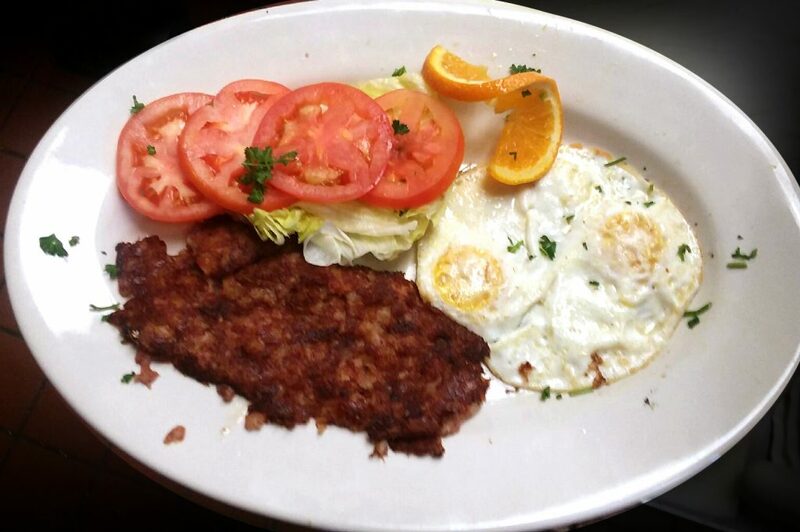 2 Grade AA Extra Large Eggs (Any Style) with Grilled Corn Beef Hash, served your choice of Pinocchio Breakfast Potatoes or Cottage Cheese, or sliced Tomatoes, plus your choice of Toast, butter and preserves. 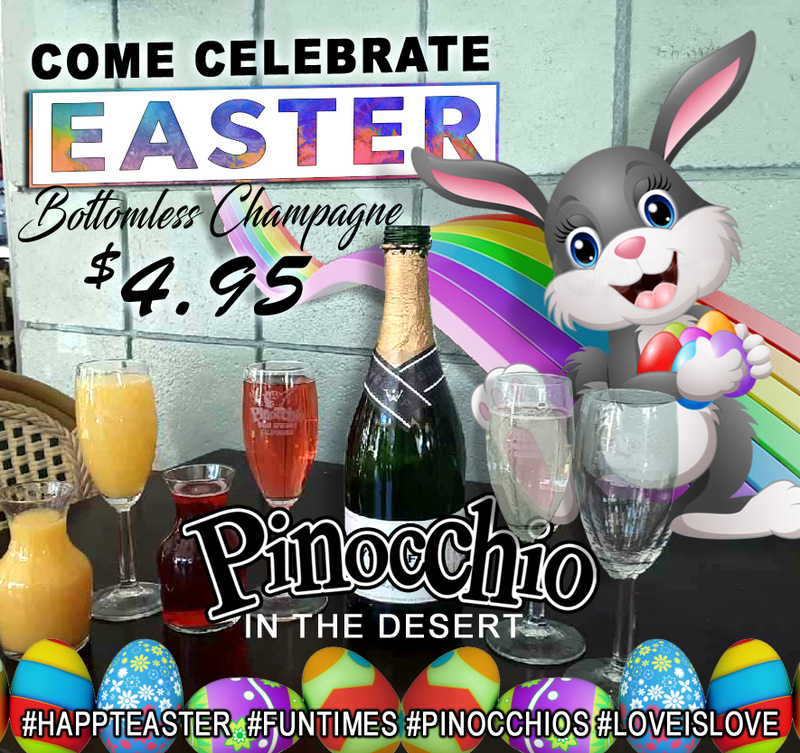 Come join this Easter Weekend with Bottom Champagne for only $4.95 per person with the purchase of an entree! Add a carafe of fresh orange juice to create a Mimosa cocktail or add a carafe of cranberry juice to create a Poinsettia cocktail! …….Something a little different, and OH SO YUMMY! 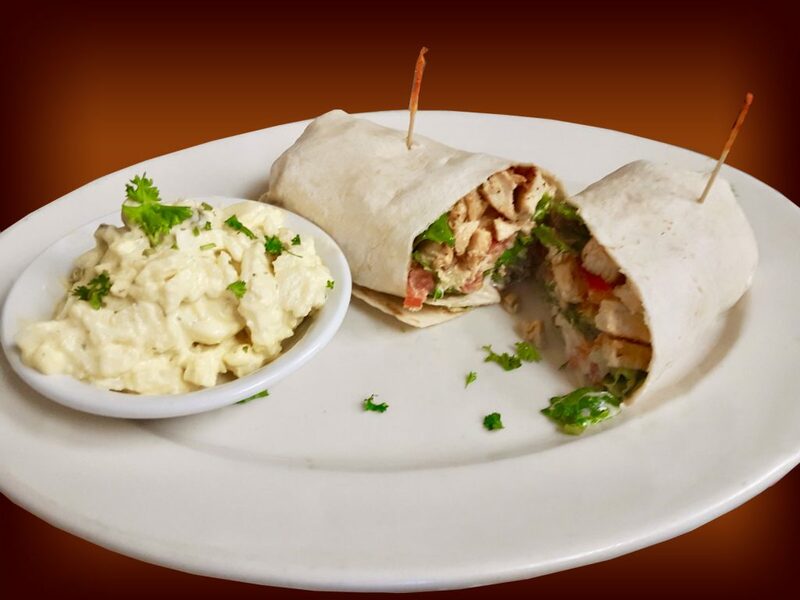 Cajun Chicken, Chopped Romaine Lettuce, Tomato, Parmesan Cheese, Creamy Caesar Dressing, Wrapped in a 12 inch Flour Tortilla. 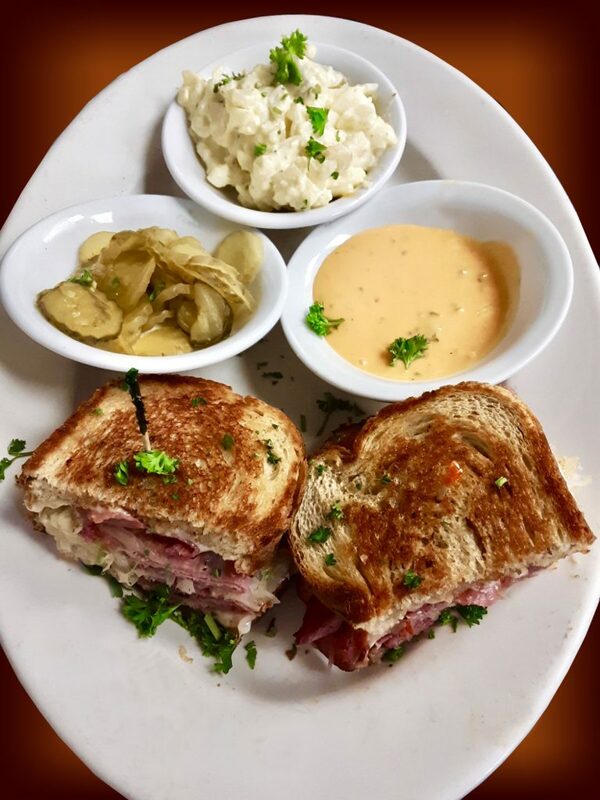 Served with Cole Slaw, Potato Salad, Warm Apple Sauce or Pinocchio’s Potato Chips. 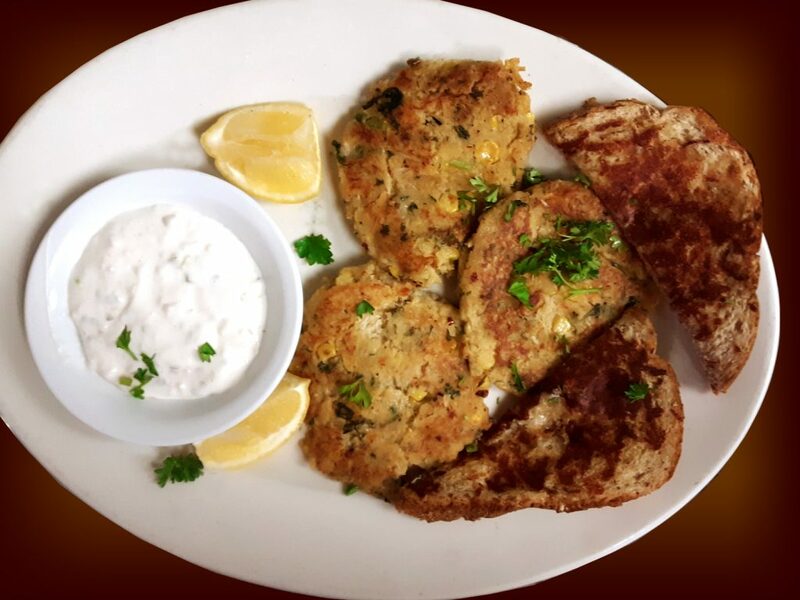 Made with a generous portion crab meat, sweetcorn and bell pepper, tartar sauce on the side, and served with our infamous grilled Garlic Bread! …… incredibly delicious!!! 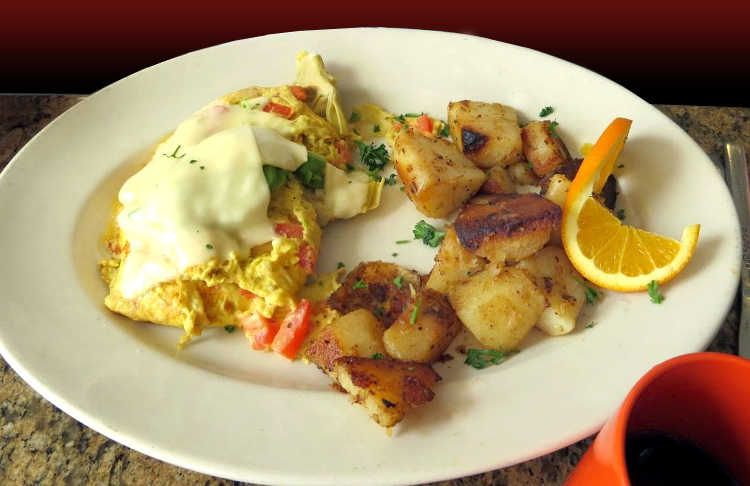 A n omelette made with grade AA Extra Large Eggs, Swiss Cheese, with Avocado, Tomato and Artichoke Hearts, served with your choice of Pinocchio’s breakfast potatoes, cottage cheese, or sliced tomato! … And your choice of toast, butter and preserves! 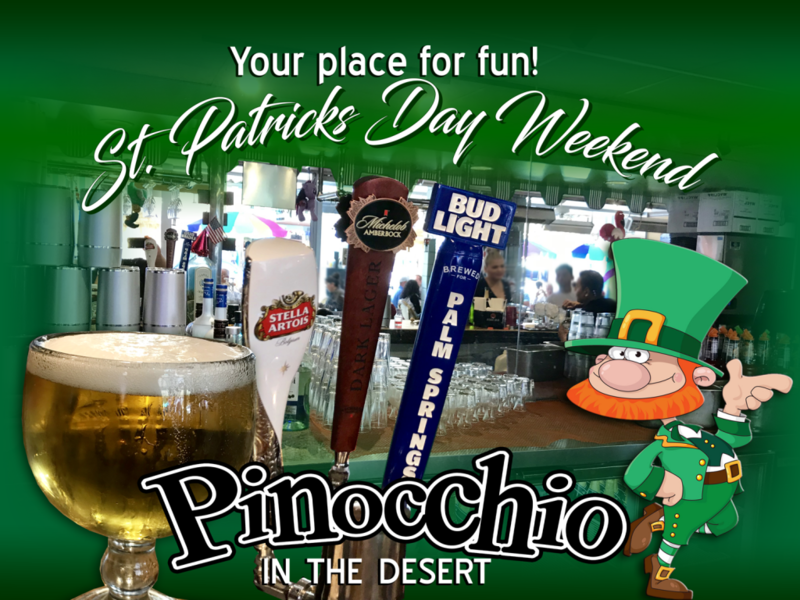 Pinocchio’s in the desert would like to wish everyone a Very Happy St Patrick’s Day Weekend!